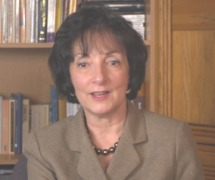 Rosemarie Scolaro Moser, Ph.D (Sports Concussion Neuropsychologist): Helped Family "Get Their Daughter Back"
In recognition of April as Youth Sports Safety Month, MomsTeam asked 30 experts in 2012 to write a blog answering two questions: first, how or why did they get into their field, and second, how they have made a difference in the life of a youth athlete in the past year. A. sports concussion neuropsychologist tells how, through concussion education, proscribing a two week period of physical and cognitive rest,academic accommodations, and monitoring with cognitive testing, she helped one family get their concussed teenage daughter back. Because summer sports are less likely to be staffed by an athletic trainer or other health care professional with specialized expertise in recognizing and treating concussion, parents need to be especially vigilant to the signs and symptoms of concussion.